This blog is moving to blog.r-enthusiasts.com. The new one is powered by wordpress and gets a subdomain of r-enthusiasts.com. 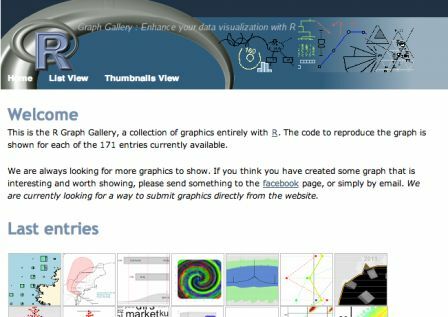 I'm trying to make improvements to the R Graph Gallery, I'm looking for suggestions from users of the website. I've started a question on the website's facebook page. Please take a few seconds to vote to existing improvements possibilities and perhaps offer some of your own ideas. The version 0.3-5 of the bibtex package is on CRAN. This fixes a corner case issue about empty bib files thanks to Kurt Hornik. The purpose of Rcpp modules has always been to make it easy to expose C++ functions and classes to R. Up to now, Rcpp modules did not have a way to declare inheritance between C++ classes. This is now fixed in the development version, and the next version of Rcpp will have a simple mechanism to declare inheritance. Consider this simple example, we have a base class Shape with two virtual methods (area and contains) and two classes Circle and Rectangle) each deriving from Shape and representing a specific shape. Classes Rectangle and Circle simply declare that they derive from Shape using the derives notation. Rcpp modules just got more flexible (as of revision 3838 of Rcpp, to become 0.9.16 in the future). So, let's crawl some data out of facebook using R. Don't get too excited though, this is just a weekend whatif project. Anyway, so for example, I want to download some photos where I'm tagged. 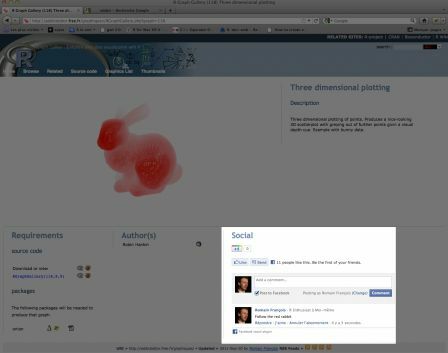 Mining Facebook Data: Most "Liked" Status and Friendship Network. The Google Open Source Programs Office sponsored me to create the new int64 package that has been released to CRAN a few days ago. 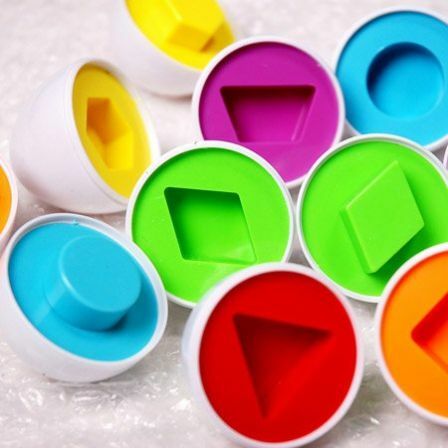 The package has been mentionned in an article in the open source blog from Google. The package defines classes int64 and uint64 that represent signed and unsigned 64 bit integer vectors. The package also allows conversion of several types (integer, numeric, character, logical) to 64 bit integer vectors, arithmetic operations as well as other standard group generic functions, and reading 64 bit integer vectors as a data.frame column using int64 or uint64 as the colClasses argument. int64 has been developped so that 64 bit integer vectors are represented using only R data structures, i.e data is not represented as external pointers to some C++ object. Instead, each 64 bit integer is represented as a couple of regular 32 bit integers, each of them carrying half the bits of the underlying 64 bit integer. This was a choice by design so that 64 bit integer vectors can be serialized and used as data frame columns. The package contains C++ headers that third party packages can used (via LinkingTo: int64) to use the C++ internals. This allows creation and manipulation of the objects in C++. The internals will be documented in another vignette for package developpers who wish to use the internals. For the moment, the main entry point is the C++ template class LongVector. I played around with reverse dependencies of Rcpp. At the moment, 44 packages depend on Rcpp and the number goes up to 53 when counting recusive reverse dependencies. 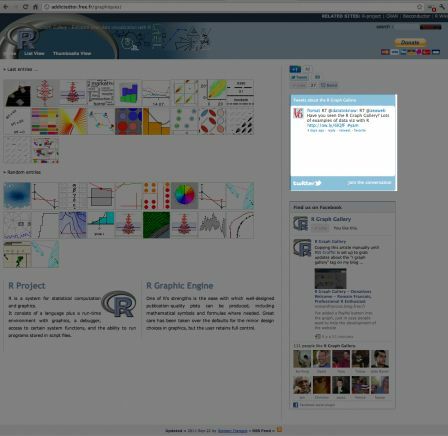 The R Bloggers website, maintained by Tal Galili, aggregates blogs (including mine) from many people of the R community. Tal and I have been wondering about how to tight R Bloggers with the gallery, supporting each other's website. 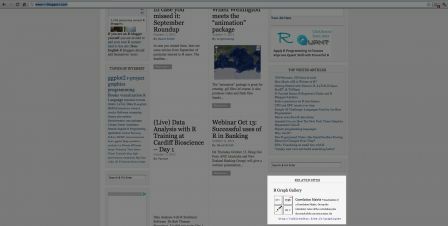 To that extent, I've made a quick and dirty widget, using the jquery cycle plugin that is now on the right sidebar of R bloggers, inside the related sites box. The widget first chooses 20 items from the gallery at random, and then cycles through them. This is an initial design made specifically for R Bloggers, but it is quite likely that I will improve on this and make the widget more generic so that other website can use it to advertise for the gallery. 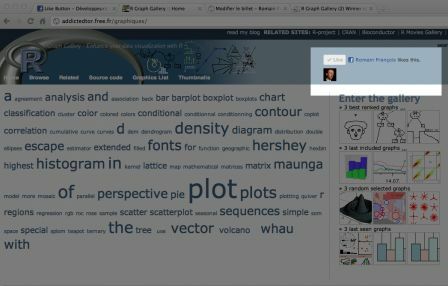 I've added a twitter search widget that searches for the #rgraphgallery hashtag or the url of the gallery on the front page. 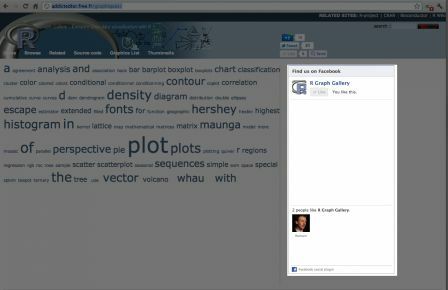 I've added facebook like button in the home page of the R Graph Gallery and on each image page, i.e. this one which I "like". Dirk and I gave a full day Rcpp workshop yesterday in Chicago before the R in Finance conference.